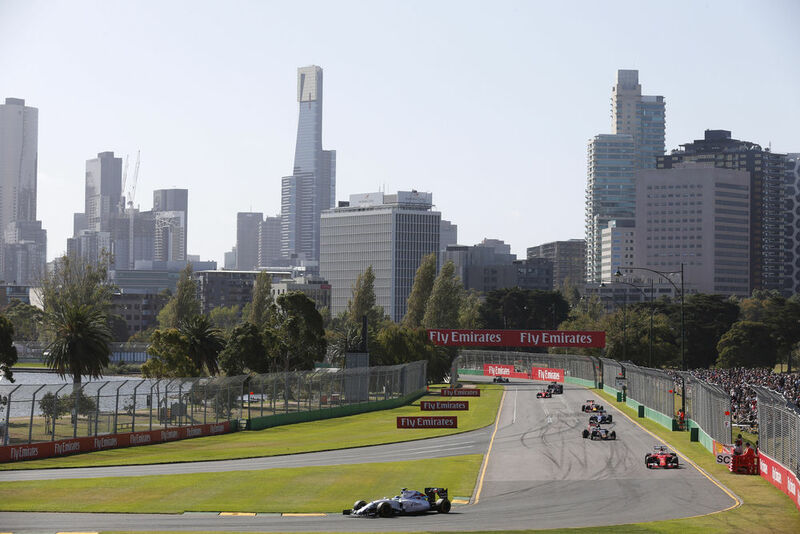 The Australian F1 Grand Prix at Albert Park kicks off the Formula 1 racing season, providing race fans with plenty of on- and off-track action. And when it comes to action, Melbourne, Australia doesn’t disappoint. Whether you’re on a budget or are out for all the thrills, spills, glitz, glamour and luxury money can buy, Melbourne will provide everything you’re looking for. Here’s an overview of the race and the lowdown on what you can expect on race weekend. For around 42 weeks of the year, Albert Park is filled with nature lovers enjoying the walking trails and picnic spots, and sports enthusiasts enjoying the various facilities. For the other 10 weeks of the year, Albert Park is given over to all things Formula 1 as the circuit is laid, the grandstands erected and the whole area dedicated to the entertainment and safety of approximately 300,000 people over the 4-day Grand Prix weekend – and then all undone again. Race weekend officially starts on Thursday, although you won’t see any F1 action around the Albert Park circuit until Friday, but that doesn’t mean there is no action. Petrol heads can enjoy V8 supercars, Porsche Carrera Cup races, the Celebrity Challenge race and classic car demonstrations. The Australian Formula 1 excitement starts with two practice sessions on Friday, followed by one practice session on Saturday and the qualifying session. Sunday, of course, is all about the race. Some hospitality packages have a set itinerary so you’re never stuck for something to see or do, but if you want to create a bespoke package or are there on your own time and dime, then you can explore a host of other entertainment options, including aerial displays by the Royal Australian Air Force, extreme sports exhibitions and refreshment zones where you can get your fill of food and drink (including alcohol) and buy your souvenir merchandise. If you’re at the track on Thursday, make a point of going to the Autograph Stage where you’ll have the chance to get autographs from F1 drivers. Over the rest of the weekend, other racing celebrities will be available for autograph hunters. Hospitality packages vary from affordable to super-luxurious. The really high-end 4-day packages tend to include access to prime viewing areas like the Paddock Club, pit lane walks, free gourmet meals and open bars, entertainment, souvenir packages, 5-star accommodation, transfers and flights. Located at the chicane leading out of turn 1. This range of private and shared suites provide sheltered location and elevated outdoor viewing terrace. Tickets include unreserved grandstand seating available for guests in Chicane Pavilion Lower. Located between turn 12 and 13 the Park provides close viewing of the race on an open outdoor viewing deck. Tickets include reserved dining, morning and afternoon teas and beer, wine and soft drinks. Located on turn 4 this Grandstand has a dedicated garden bar area at the rear of the grandstand providing exclusive catering, cash bar and toilets. Webber Grandstand: One of the more affordable grandstands at the Albert Park F1 race track with 4-day and single-day tickets available. You’ll have views of the start of the main straight, the final corner and the start of the pit straight. Schumacher Grandstand: You can get 4-day and 1-day tickets for this pick of the ‘cheap seats’. You’ll have views of turns 15 and 16 and the pit entrance. Senna Grandstand: Only 4-day tickets are available, allowing you to see the main straight, pit entrance and support pits. Fangio Grandstand: Here we’re starting to get to middle-range grandstands. Once again only 4-day tickets are available. It’s situated on the start/finish straight with views of the pits. What it lacks in race action it makes up for in the race build-up and podium celebrations. Brabham Grandstand: Only offers 4-day tickets with views of turns one, two and three. World Champion Grandstand: Only 4-day tickets are available. The covered stand is on the inside of the track, offering prime viewing of turns three, four and five. It also has dedicated catering and bar facilities. Corporate Suites: Prime viewing, both outside and inside (in air conditioned splendour), with open bars, free champagne, canapés and gourmet meals.